Content Under Pressure San Antonio custom t shirts, hosted every year since 2012. This graffiti event put on by The Paint Yard features the best aerosol production artists from all over the country. Since 2012 the event has expanded into featuring other forms of art. For example, Content Under Pressure San Antonio exhibits local and national visual artists, over twenty musicians, and bboys. If you haven’t been, I recommend that you put it high on your to do list. 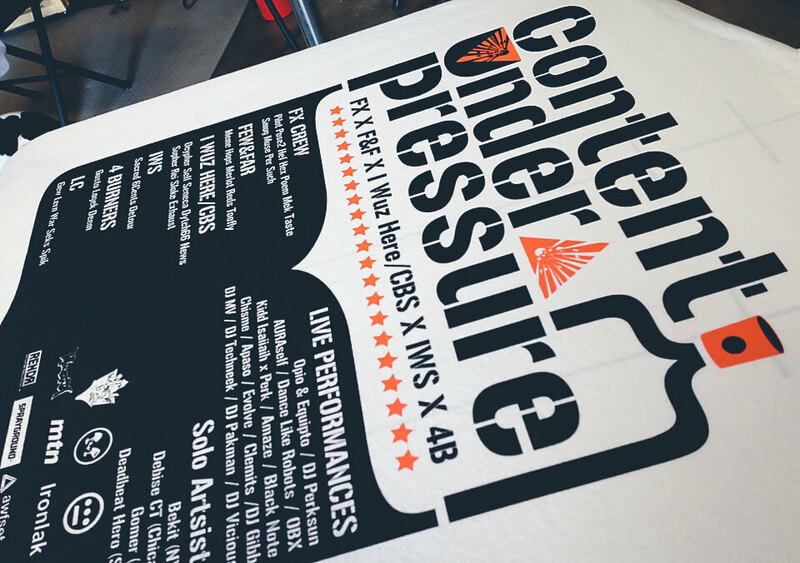 We were proud to print these for Content Under Pressure 2013 designed by Anthony Rose.